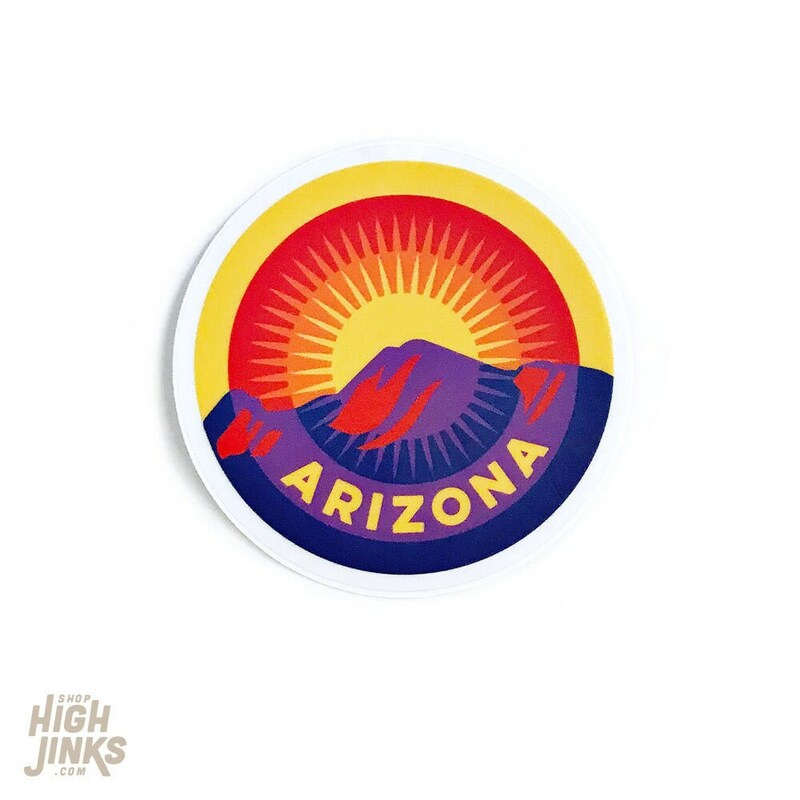 Show some southwest pride and an adventurous spirit with our all new 3" vinyl adhesive back sticker. Perfect for laptops, skateboard decks, sketch book covers and MORE! 3 x 3" vinyl with uv coating to resist the tough desert elements. Loved these so much I immediately bought more! Will shop here again. And again and again!